Did you say chocolate mint? Yes! 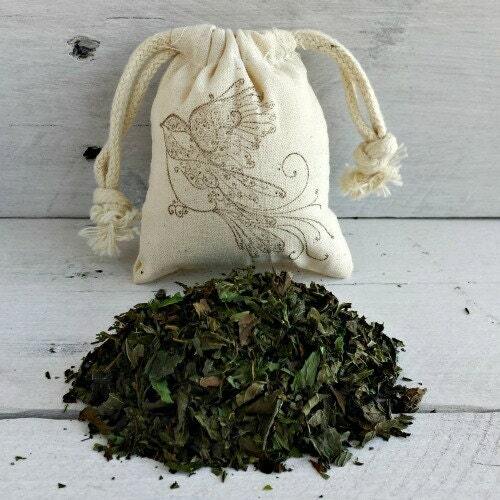 This 3"x4" cotton muslin herb sachet is filled with organic homegrown chocolate mint from our garden! The brown stamped swirl bird adds a beautiful touch to this sachet which is perfect as a wedding or bridal favor!